Professor Liz Van Volkenburgh has agreed to serve as the Interim Director of the School of Environmental and Forest Sciences, beginning January 1, 2017. Van Volkenburgh is a Professor in the Department of Biology and an Adjunct Professor in the School of Environmental and Forest Sciences. 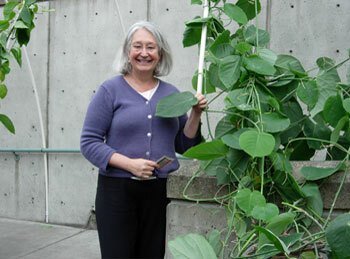 She is the principal investigator of the Plant Growth Lab in Biology and has a longstanding relationship with the School, most notably through her work with the UW Botanic Gardens and service on Environmental and Forest Sciences graduate student advisory committees. A search for a permanent director for the School is underway.